Everyone full of turkey? Ready to get a start on your holiday shopping? We’re running a sale this weekend, 15% off all items in our store! 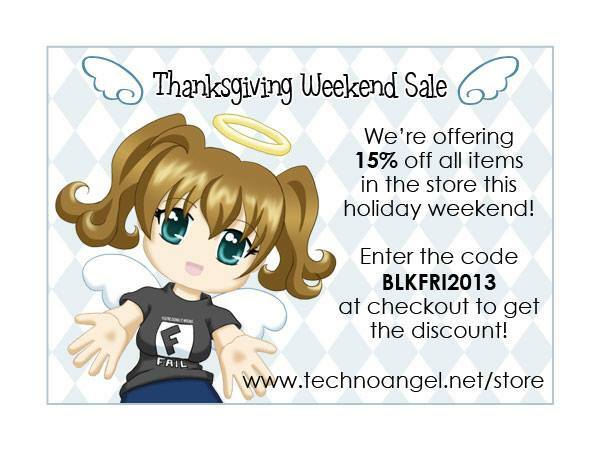 Just enter the code BLKFRI2013 during checkout to apply the discount.